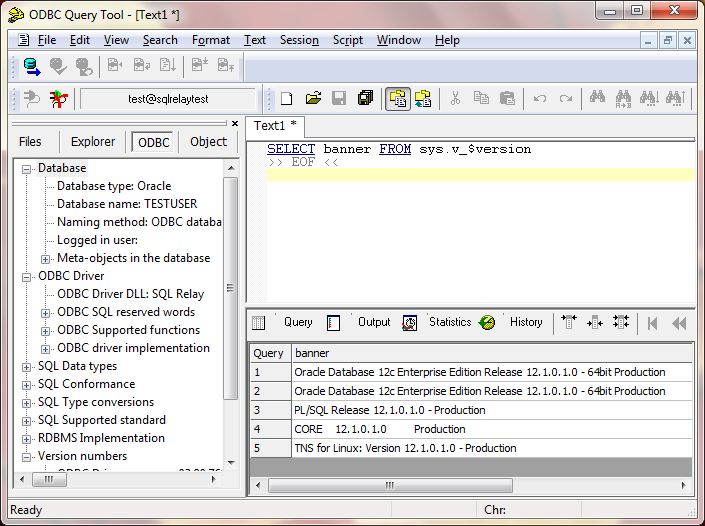 SQL Relay has long supported ODBC to some extent, both on the server and client side. Ironically though, the client-side has always worked a lot better on Unix/Linux than Windows. That's just a terrible state of affairs. Windows is where ODBC is most commonly used. Yeah, ADO.NET's the in-thing these days, but there's still a whole world of ODBC apps out there for Windows. 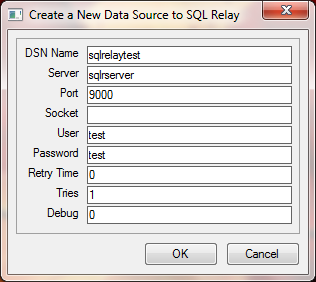 You ought to be able to aim them at SQL Relay. A week or so ago, I got the driver working well enough to be usable if you don't mind manually editing .reg files and loading them using regedit. A good step, but not good enough for the average user. The driver needed a real configuration interface. Last night I made some good progress though. I guess I could have drawn a better looking UI using modern tools, but I kind-of want to maximize compatibility, and it didn't seem right to pull in the .NET framework just to be able to configure an ODBC DSN. It's been a looong time since I did anything with the WinAPI directly, and it was an interesting challenge... "How do I get the background colors to match on the labels again?" "What's the trick to getting tab-navigation to work if your edit controls are attached to a child window?" But, I got it going, and that plain little window works pretty well. Apps are working pretty well too. Little-by-little, they're revealing discrepancies, but it's been a while since anything just didn't work. Things are looking good. When 0.58 is out, you ought to be able to aim your Windows-based ODBC apps at Relay.